For nearly 25 years, Willis Tower (long known as the Sears Tower) held the distinction of being the world’s tallest building, standing as a symbol of American might and engineering ingenuity. Today visitors queue up to soak in magnificent panoramic views of the city from the 103rd-floor observation deck of Chicago’s soaring black skyscraper that continues to be a point of pride for Chicago. At ground level, however, something is noticeably absent. The tourists come and go, but rarely linger. People who work in the building often walk blocks away to grab lunch or take a break from their offices. And at night, the block is much less active than during the day. Our client, Blackstone, and Equity Office, a portfolio company owned by Blackstone’s real estate funds, hopes to change just that. They recently unveiled visionary plans for the Tower with an eye toward breathing new life into the iconic structure while also re-energizing the surrounding blocks of downtown through a $500 million investment. Their charge to Gensler was to create a vibrant, world-class destination at a site that is not currently realizing its full potential. The market for success already exists and is comprised of three parts. First are the 170,000 people who work within a five-minute walking radius of the building. They are currently an untapped revenue stream. Second are the people who occupy Willis Tower every weekday—a population of about 15,000 workers that warrants its own zip code and post office. And third are the 1.7 million tourists who visit Willis Tower’s Skydeck Chicago observatory each year, yet are offered no compelling reason to extend their stay. In the years since the 1970s, when living within the city limits of Chicago was a questionable choice for many, the appeal of an urban lifestyle has greatly increased. Today there is more demand than ever for residential construction in the West and South Loop neighborhoods. Steady development is planned within the next five years for these areas. These nearby residents will be important future users of the building as well. From a real estate standpoint, the city’s center of gravity is increasingly moving toward Willis Tower. In approaching this opportunity to reimagine Willis Tower, Gensler looked at the architectural legacy of Chicago — “The City of Broad Shoulders” — which invented the skyscraper. Beyond its buildings, Chicago celebrates the living vestiges of its industrial past from the elevated train system to operable bridges that date back to the 1800s. In recent years, there has been a softening of Chicago’s harder edge with growing world renown for its public art, parks and recreation along the waterfronts of Lake Michigan and the Chicago River. Successfully envisioning the future of the iconic tower required thinking about the renovation as part of the greater continuum of the city’s most memorable places. Early on, Blackstone and Equity Office advocated for a global tour of best-in-class urban retail centers and food halls. From New York to Los Angeles, and Sydney to Shanghai, the team observed and experienced the newest and most relevant precedents from around the world. This research formed a strong foundation and jumping-off point from which the design team could begin imagining the next best world-class lifestyle center destination, Willis Tower. To make Willis Tower a new global center for business and entertainment, we started with the lone icon—the tower. All additions made to the block in the 1980s and ’90s are being demolished. Next, we will create a large green space on the sunny south side of the building. Then we will raise this public space to the fourth floor while filling the space beneath with new amenities—food markets, conference spaces, office services, various entertainment and retail outlets, a fitness club and locally inspired restaurants and bars. Along the surrounding streets—Wacker Drive, Franklin Street and Jackson Boulevard—we will carve out grand view corridors celebrating the new podium and revealing the Tower at all entry points. Our team is creating a metal framework outlining the podium and recalling the window modules of the Tower. Each entrance will be skylit, drawing light inward and offering visitors framed overhead views of the building. Specifically, the Wacker and Franklin entrances will lead office tenants up to the new second-floor office lobby—a civic-scaled space akin to a grand train terminal experience—or down toward ticketing and retail for observation deck visitors. The largest entry is on Jackson Street to the south. Inside will be an incredible atrium that we expect will be one of the most talked-about spaces in Chicago: a five-story “winter garden” flooded with natural light from overhead skylights, offering powerful views of the Tower. The ground level will primarily be programmed for a Chicago-centric foodie experience, with local offerings and first-to-market restaurateurs bringing great new venues to The Loop. The public roof deck on the fourth floor will provide a unique outdoor experience for visitors and a casual setting for office tenants. The landscaped garden will wrap around the atrium skylight, which rises like a topographical mound in the park while offering views to the winter garden below. Events ranging from ice skating to concerts are proposed for this unique outdoor space. Major building transformations are happening elsewhere in Chicago, but none dig as deep to unlock the tremendous hidden value that is buried within such an icon as the Willis Tower. Upon its completion, Willis Tower will set a new standard for office environments and urban centers. Gensler is proud to be leading the design to create a premium experience that does not currently exist anywhere else in Chicago—a must-see destination for locals and visitors alike. 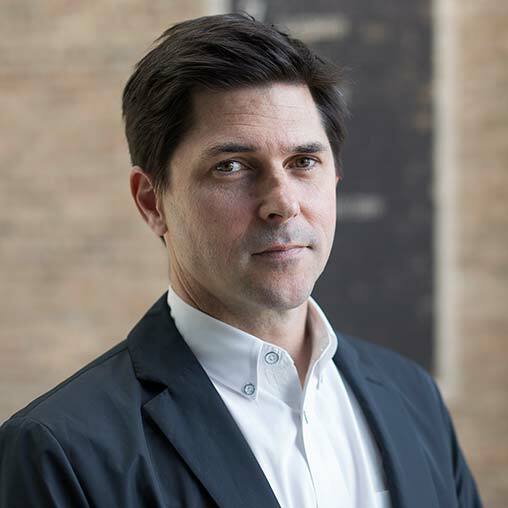 Benjy Ward is a Principal in Gensler’s Chicago office whose 20 years of varied design experience have been applied to high-rise and mixed-use development, urban planning, luxury retail, and development of an urban spaces mobile application. He spent seven years working in Gensler's Shanghai office, and served as the Regional Design Leader before he transferred back to the U.S.